US President Donald Trump has announced that he will meet North Korean leader Kim Jong-un in Hanoi, Vietnam, on 27 and 28 February, for their second high-stakes summit meeting intended to eliminate a potential nuclear threat. 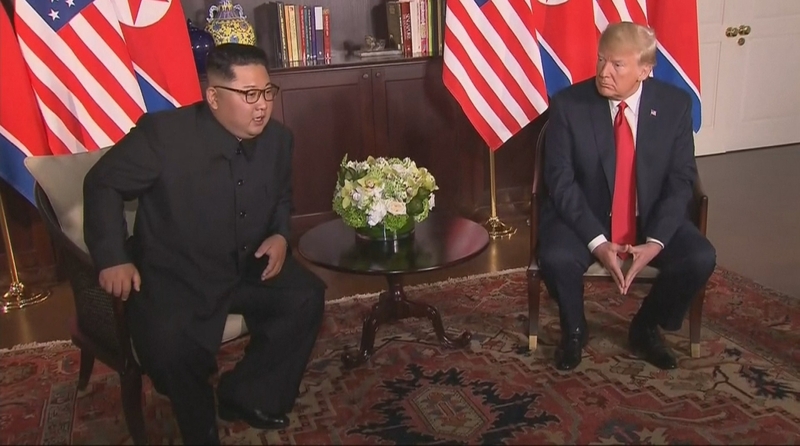 “My representatives have just left North Korea after a very productive meeting and an agreed upon time and date for the second Summit with Kim Jong-un,” Trump said in a tweet on Friday night. Trump revealed in his State of the Union address on 5 February that the meeting would be in Vietnam but did not disclose the city or the date, reports The New York Times. US officials had earlier explored Da Nang, a coastal city where American troops arrived in 1965 for a war that would scar a generation, but the North Koreans were reported to prefer Hanoi since the country has an embassy there. The meeting will be the second between Trump and Kim after an inaugural get-together last June in Singapore. Trump emerged from that meeting declaring that he had all but resolved the decades-long nuclear dispute and later declared that he and Kim “fell in love”. In another series of tweets also on Friday night, Trump said: “North Korea, under the leadership of Kim Jong-un, will become a great Economic Powerhouse. But while North Korea has refrained from further nuclear and missile tests, it is yet to make any concrete commitment to eliminating its arsenal. Friday’s announcement comes just days after a confidential UN report found that the North Korean nuclear and missile programme remains intact, CNN reported. Last week, intelligence officials warned that North Korea was “unlikely to completely give up its nuclear weapons and production capability”. The State Department’s top negotiator with North Korea, Stephen Biegun, had released a statement earlier Friday following a meeting in Pyongyang with North Korean officials, but did not mention the location for the summit.